Budget-friendly hand-held dynamic mic built for the working vocalist. 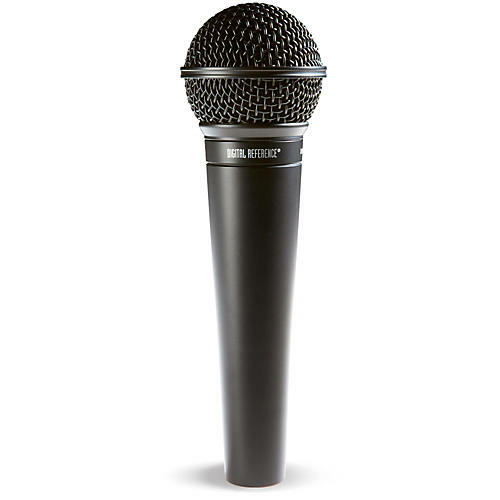 The Digital Reference DRV100 Dynamic Vocal Microphone is an all-around mic for stage vocals. Built with a rugged grille, all-metal body, and optimized frequency response, the DRV100 microphone stands up to long hours of use while providing uncompromising vocal reproduction. Ideal for any musical style or speech application, the great-sounding and durable DRV100 microphone is an affordable solution to common stage vocal amplification challenges. Comes with clip.